Maksim is an only amateur photographer on the North of Chukotka (Alaska bordering region) who shots polar bears in their natural habitat. 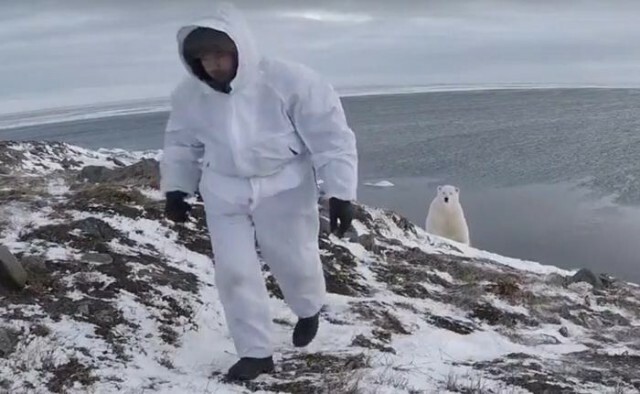 In this amazing video he shows his “work conditions” and how the predator (polar bear) reacts to the camera. Photographer is insane. One day a polar bear will make a snack of him, recorded on camera.